Darius and Girėnas were two American flyers of Lithuanian descent who decided to bring their mother country into the world’s spotlight by being the first Lithuanians to fly nonstop in a single-engine plane from the United States to Lithuania. Today, Darius and Girėnas’s ambition to cross the Atlantic sounds like a romantic fairy tale, albeit one with a sad ending. In 1933, though, it was a nation-building event. 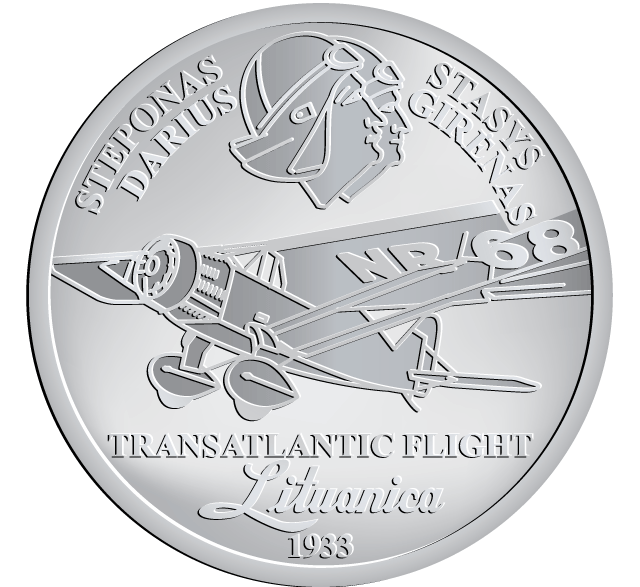 The importance of Darius and Girėnas in Lithuania’s modern national identity is well indicated in the prevalence of the two pilots’ images. 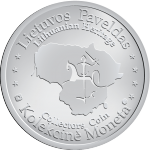 Monuments for Lituanica’s flight have been erected both in Lithuania and abroad. Sculptor Bronius Pundzius carved Darius and Girėnas’s portraits on the country’s biggest boulder, Puntukas Stone, near Anykščiai. Almost all towns in Lithuania have a street named after Darius and Girėnas.